This article first appeared in Considerable on January 4, 2019. Read the original there. Beth Hoban is a caregiver to her 94-year-old mother. She’s also a full-time small business owner. The Hawaii resident is part of a rising wave of Americans pitching in to care for an elder family member, most of whom prefer to age at home. Nationally, more than half of all caregivers are employed in addition to the responsibilities of their caretaking role. For Hoban, juggling the dual obligations of career and caregiving is a significant financial and emotional challenge. Family caregiving expenses in the U.S. cost an average of $7,000 per year, an amount Hoban didn’t anticipate when she budgeted for her senior years. Hoban used to count herself lucky that she could just take her mother to work. But when her mother broke her arm, she no longer could take her to the office. “It’s pretty expensive trying to get a caregiver,” she says. But Hoban is also lucky enough to live in Hawaii, the first state government to offer subsidies to working caregivers—a program that other states are watching avidly to see if it works. Adopted in 2017, the Kupuna Caregivers Program provides caregivers who work full-time jobs with up to $70 per day to cover the cost of health care, meals, transportation and in-home services for an aging family member. Kupuna is the Hawaiian word for elder. The subsidies, paid directly to contracted service providers, aim to empower caregivers to hire help at home so they can focus on the duties of their paid employment. In Hawaii, they are especially concerned. Even as he signed the landmark legislation into law, Hawaii Gov. David Ige noted that the state’s population is aging more rapidly than the national average. “Our seniors live longer than seniors in any other state,” he said. About 90 caregivers qualified for stipends before $600,000 in state funding for the program ran out in 2018. The state allocated $1.2 million for the program in 2019, and supporters will seek a third funding increase from the Hawaii Legislature for 2020. Elder-care advocates say $70 per day won’t eliminate working caregivers’ financial strain — but it’s a promising start. In addition to providing families with some relief, the subsidies might also help stabilize the labor force. When a working caregiver struggles to keep up with job duties or drops out of the workforce, small businesses and local economies suffer. “We’re looking at a huge demographic shift the scale of which we’ve never seen before,” said Janet Kim, a spokesperson for the national advocacy group Caring Across Generations, which helped push forward Hawaii’s caregiver stipends. So far, Hawaii is the only state government offering taxpayer-funded payments to working caregivers. Other states are watching the program as a potential model and testing support for similar measures with bill proposals and ballot initiatives. Americans 65 and older will represent nearly a quarter of the American population by 2060. As baby boomers lose their independence in older age, state governments are finding new tools to reinforce the role of family caregivers, who often make great personal sacrifices to provide in-home care to a loved one. For low-income families, Medicaid offers some financial relief. Caregivers whose earnings exceed the threshold for those benefits, however, often find that their income is insufficient to cover elder-care expenses for a family member. Experts say momentum is mounting for federal action. Elder-care advocates are also focusing their lobbying efforts at the state level, where governments are starting to recognize the vital contributions of unpaid caregivers who disburse a large portion of their own money to support a family member’s wellbeing. All told, 61 percent of working caregivers report career interference, saying they have had to reduce their work hours, turn down promotions, take a leave of absence, seek a less-demanding job, retire early or lose benefits. In Maine, voters in November overwhelmingly rejected a universal long-term care ballot initiative that would have created the nation’s first state-run program to provide free home care services for seniors and disabled residents, regardless of income. Program funding would have been raised through a new 3.8% tax on payroll and non-wage income. Lawmakers in Washington failed to vote on a similar bill introduced in 2017 that called for a .49 percent payroll tax to fund a $100 daily payout for elderly residents who can’t live independently or care for themselves. The payment would have supported seniors at risk of spending down their life savings on in-home care or nursing home care, which in Washington costs an average of $56,000 and $96,000 per year, respectively. This financial burden often falls to the children and grandchildren, straining the fiscal health of the whole family. Looking ahead, the political climate for change looks favorable in Michigan, Illinois and California, according to Kim, who said lawmakers and aging advocacy groups in those states have indicated serious interest in addressing the elder boom. Smaller efforts have already taken root in places like new New Mexico, where approximately one in five residents serve as a family caregiver during any given year. In 2015, a state task force laid the groundwork for an anti-workforce discrimination campaign targeting business owners whose employees could be struggling to balance their job duties with the work of caring for an aging parent. 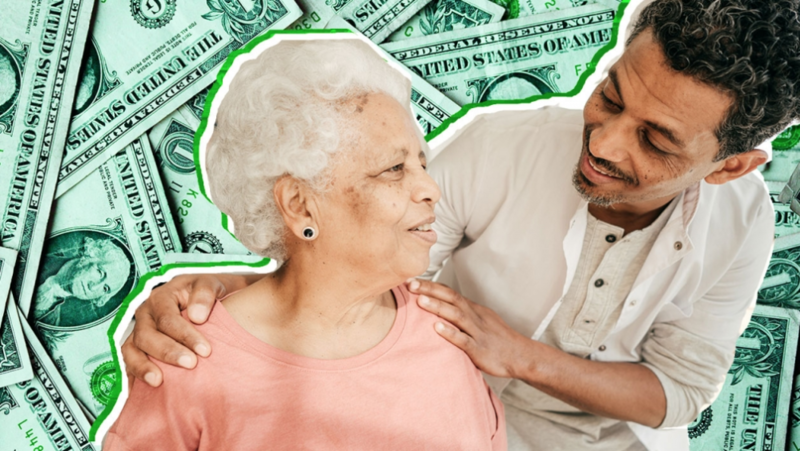 In New York, working caregivers of a family member with a serious health condition can continue to collect up to half their salary while taking up to eight weeks of paid family leave. Most private employees who regularly work at least 20 hours per week are eligible for the program.